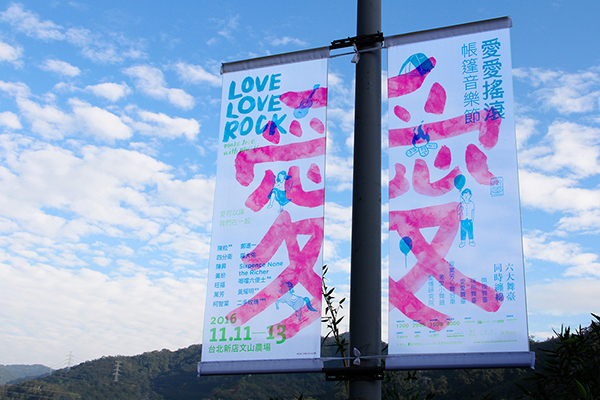 Love Love Rock Festival has themes such as making friends and camping. 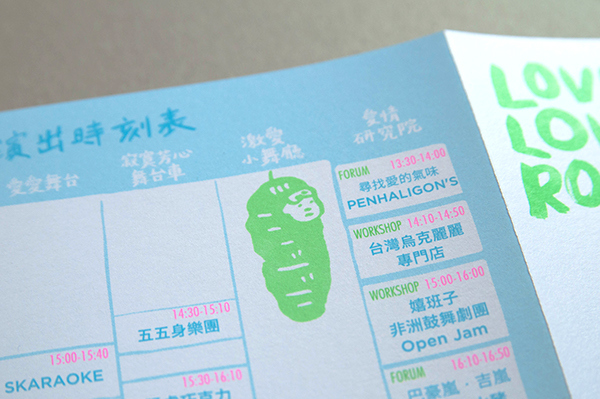 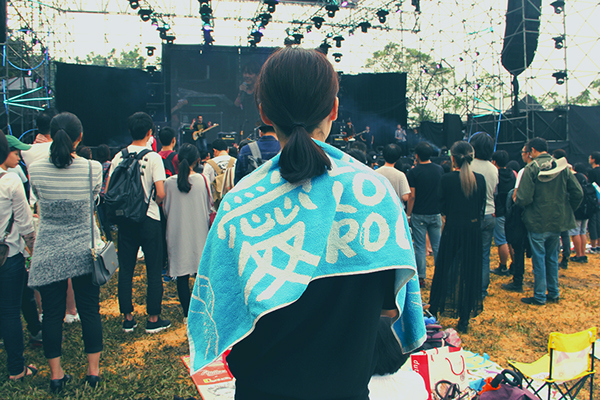 The acclaimed music label - Taiwan Colors Music Co., Ltd. aka TCM, started this festival in 2008. 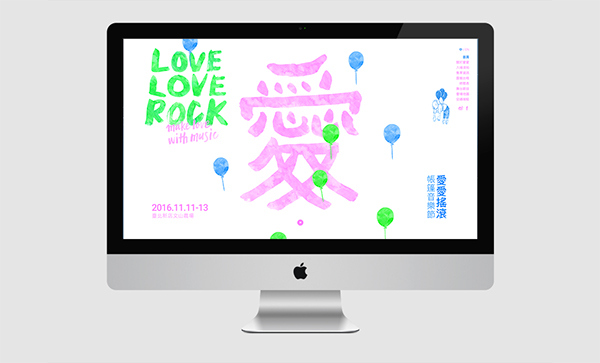 It's normally held around November 11th, known as Bachelor's Day in Greater Chinese community. 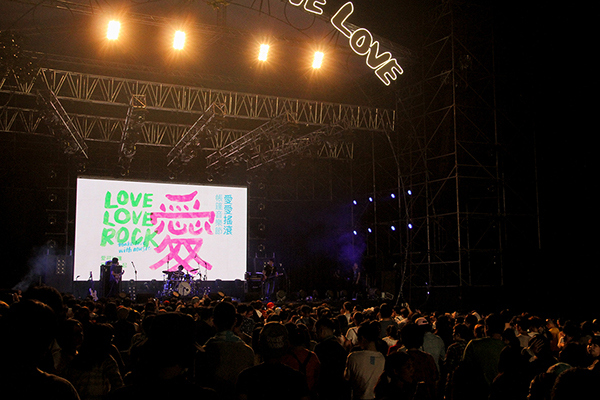 The festival is all about love and peace. 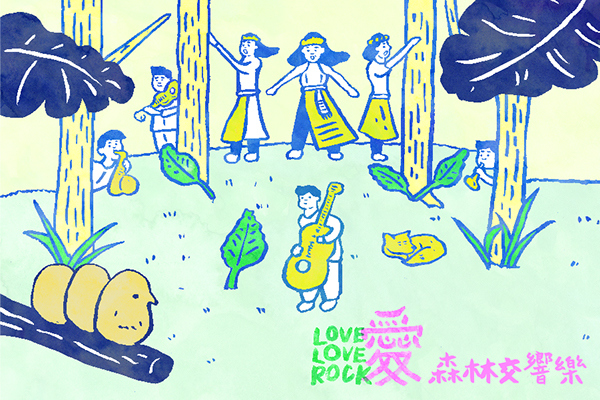 Exactly the same love and peace in Rock n' Roll music. 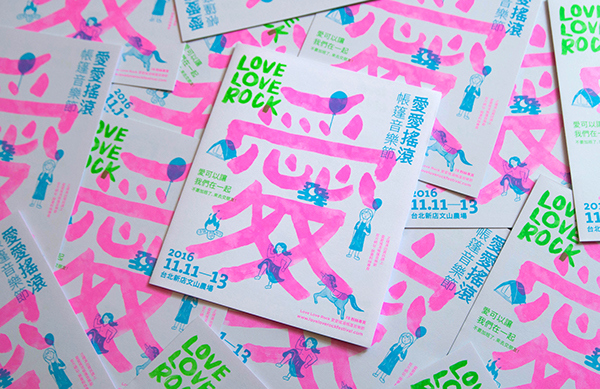 With all the tender and soft love songs, we're here to build a theme park of love for all the people who're searching for their significant others (well, if you're still single). 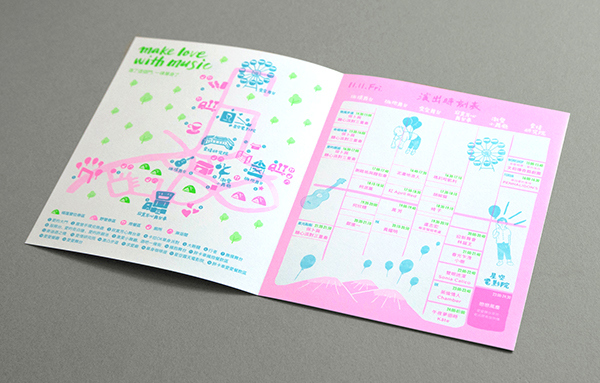 We're looking this into the most popular, yearly party of friendships. 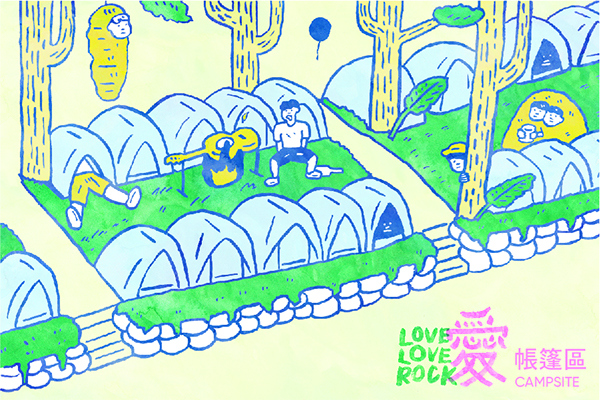 We find backpackers to be our perfect guests as we offer nothing but tents for your comfortable stay. 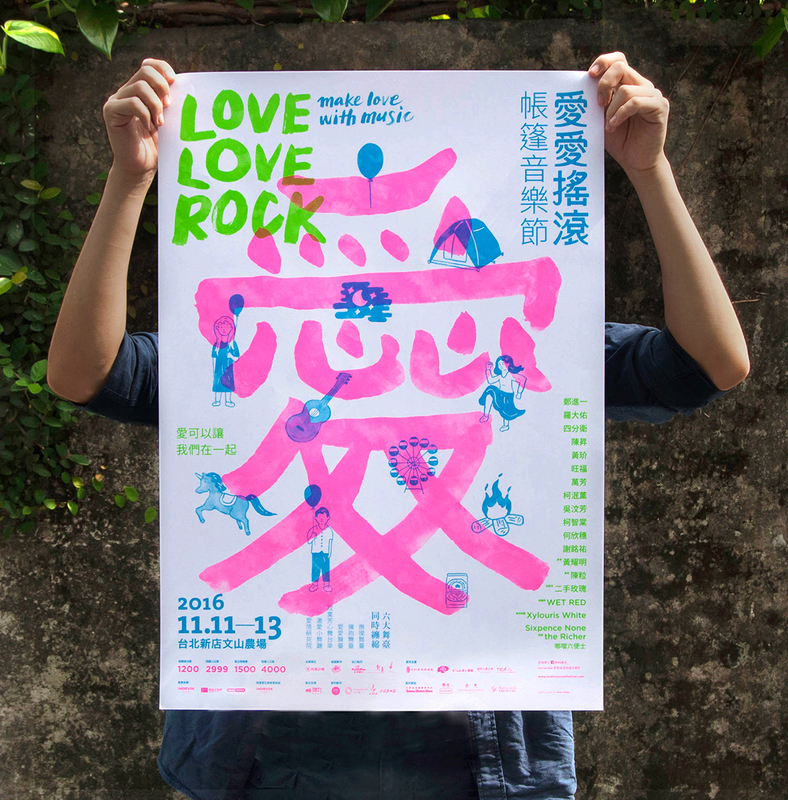 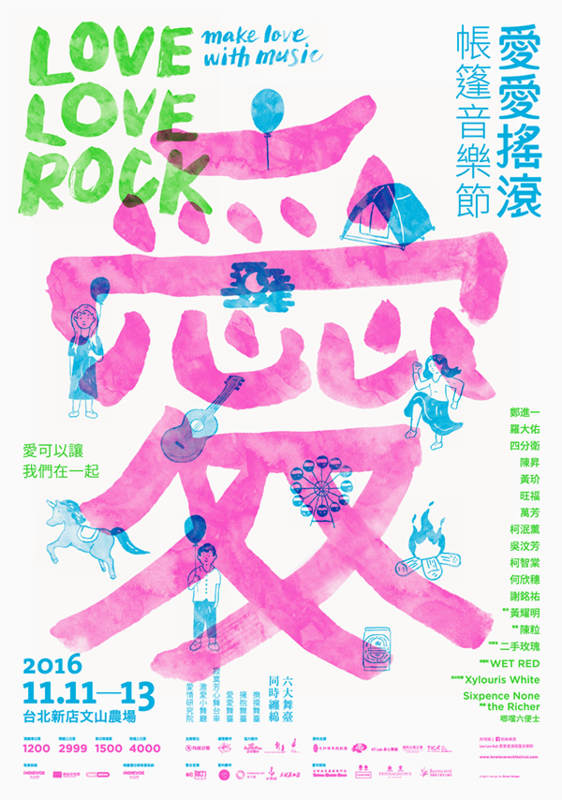 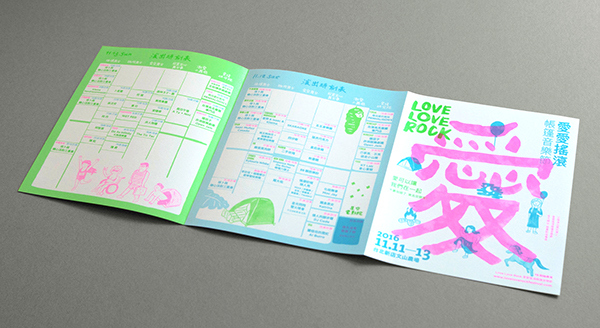 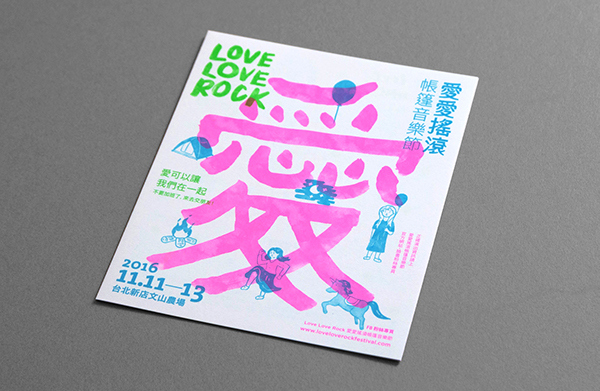 Step by step, we'll see Love Love Rock be the grandest camping festival with Love, love, and more love.